It may begin as an itching or burning feeling on your skin, followed by numbness or sensitivity to touch. But then you develop a painful red rash that forms crusty lesions. Fever and fatigue may follow. These are the common symptoms for a form of chicken pox called shingles, a contagious disease from the human herpes group of viruses. While anyone can contract the shingles virus, it most often lies dormant in a person’s nervous system for decades after an earlier bout of chicken pox. It then breaks out (sometimes repeatedly), usually in patients over fifty. A shingles outbreak can be miserable. It could also affect your dental care, especially if you have a rash on your face and neck. Here are 3 things you should do if you have shingles in regard to your dental care and overall health. Tell your dentist you have shingles. 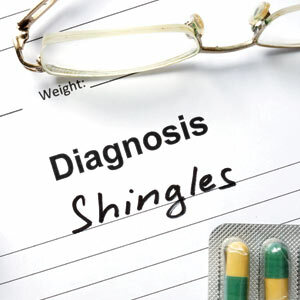 A shingles outbreak is highly contagious in its early stages and can spread from direct contact with blisters or through airborne secretions from the infected person’s respiratory system. Even a simple teeth cleaning (especially with an ultrasonic device) at this stage could spread the virus to staff and other patients. So inform your dentist if your appointment coincides with an outbreak—it may be necessary to re-schedule your visit. Start antiviral treatment as soon as possible. If you’re diagnosed with shingles, more than likely your doctor or dentist will recommend immediate antiviral treatment (typically acyclovir or famciclovir) within 3 days of symptom onset. This can help speed up healing, alleviate pain and possibly prevent more serious complications. Get the shingles vaccine. Of course, you don’t have to wait for shingles to occur—there is an effective vaccine that could help prevent an outbreak. If you’ve had chicken pox (over 90% of American adults have) or you’re over sixty with or without previous chicken pox, the U.S. Centers for Disease Control recommends you get vaccinated. If you would like more information on shingles and how it may affect your dental health, please contact us or schedule an appointment for a consultation.